The excellent book MIND WARP: THE FANTASTIC TRUE STORY OF NEW WORLD PICTURES (by Christopher T Koetting) is an excellent history of the low budget film producer and distributor set up by the legendary Roger Corman. However, it pretty much signs off when Corman sells his company in 1983. That's a shame as the now publicly-listed company issued over 100 films between 1985-89 (only CREEPSHOW 2, FLOWERS IN THE ATTIC, HELLRAISER HELLRAISER 2 and SOUL MAN showed much signs of life at the box office although New World Video fared considerably better), expanded into TV production (producing some of the finest shows of the decade) and purchased Marvel Comics. This is an attempt to create a chronological history of the company from 1983 onwards. For the most part, I've ignored film production and distribution (including New World Video in the USA and the UK) because it's such a vast and complicated area and requires a lot more research. 1983 - Roger Corman sells New World Pictures for $16.5 million. He retains the film library he created although the new company remains the distributor. 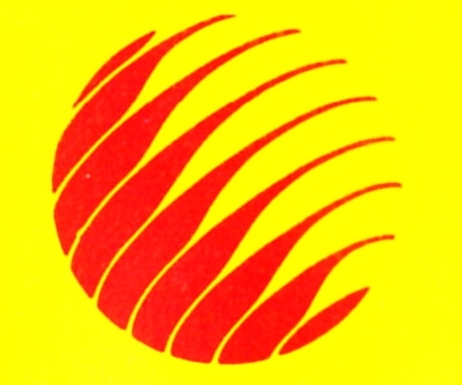 1984 - NW acquires film production houses Learning Corporation of America and Highgate Pictures. JULY 1984 - SANTA BARBARA begins on NBC. NW becomes a production partner/ distributor from February 1985. The daytime soap eventually clocks-up 2137 episodes, ending in January 1993. It's seen on ITV in the UK. FEBRUARY 1986 - GLADIATOR (a truck-driving vigilante roams the roads of California fighting vehicle-based crime) is a busted New World pilot ultimately aired as a TV movie. MAY 1986 - NW acquires the Lions Gate sound post-production facility for $3.25 million. SEPTEMBER 1986 - ABC airs SLEDGE HAMMER!, created by Alan Spencer. Although low-rated, the half-hour Dirty Harry spoof is renewed for the 1987-88 season but NW demands budget cuts to reduce its per-episode deficit funding. SEPTEMBER 1986 - NBC premieres Michael Mann's CRIME STORY. Set in Chicago in the early 1960's, the show is a hit with critics but only attracts moderate viewer attention. It's renewed for the 1987-88 season. The show is released on rental video in the UK by New World Video and aired, in late night slots, on ITV. 1986 - NW purchases Marvel Entertainment Group (including Marvel Comics Group, Marvel Books, Marvel UK and Marvel Productions) for $46 million as part of its plans to become a major entertainment conglomerate. Editor-in-Chief Jim Shooter is included in the deal but doesn't last long under the new regime. Stan Lee fares much better and continues as Marvel's West Coast creative force. His Stan's Soapbox pages in MARVEL AGE MAGAZINE begins to promote New World's projects. 1987 - New World officially become the diversified NEW WORLD ENTERTAINMENT (NWE). AUGUST 1987 - NWE launch a hostile takeover bid for Kenner Toys, citing potential synergy especially for Marvel Entertainment properties and the chance to develop Kenner products as film and TV shows. Kenner resist and NWE eventually withdraw. SEPTEMBER 1987 - CBS premiere the Vietnam war drama TOUR OF DUTY. Despite low ratings, the network renews the series for both the 1988-89 and 1989-90 TV seasons. The show is released on rental video in the UK by New World Video and aired, in late night slots, on ITV. SEPTEMBER 1987 - Superhero comedy/ drama ONCE A HERO is cancelled after only three episodes. OCTOBER 1987 - The world-wide stock market crash has an adverse affect on debt-heavy NWE. OCTOBER 1987 - Marvel publish a two-issue SLEDGE HAMMER! limited series to coincide with the show's second season. OCTOBER 1987 (cover date) - Marvel publish a one-shot adaptation of the New World movie HOUSE II: THE SECOND STORY. JANUARY 1988 - Delayed by the 1987 writers strike, the second season of TOUR OF DUTY launches on CBS. To shave production costs, New World moves the show from Hawaii to California. JANUARY 1988 - The first episode of THE WONDER YEARS airs in the coveted post-superbowl slot, winning healthy ratings, critical plaudits and an Emmy Award for best comedy series. A further five episodes make up the truncated first season, returning with more episodes from November 1988. The show runs six seasons (and 115 episodes), ending in May 1993. MARCH 1988 - NWE announces full-year losses of $18.5 million for 1987. The financial problems were caused by poor box office receipts, shrinking demand for the company's productions on home video and deficit funding expensive (but only marginally successful) television shows. Marvel's publishing activities are, however, profitable and bring in $2.3 million in income. APRIL 1988 - NWE sells the Lions Gate facility for $5 million. APRIL 1988 - NWE does a deal with Michael Landon Productions to bow out of distributing the star's HIGHWAY TO HEAVEN series. MAY 1988 - THE INCREDIBLE HULK RETURNS is the first NWE production to directly result from the acquisition of Marvel. It reunites the principal cast of the 1977-82 Universal series as well as serving as an (unsuccessful) back-door pilot for a spin-off Thor series. JULY 1988 - Announcing expected pre-tax losses of $25 million for the second quarter, the embattled NWE puts its Marvel Entertainment subsidiary up for sale. AUGUST 1988 - CBS airs the failed pilot SNIFF about a reporter and his dog. OCTOBER 1988 (cover date) - Marvel publish their adaptation of the New World film ELVIRA: MISTRESS OF THE DARK. NOVEMBER 1988 - ABC airs the comedy/ drama MURPHY'S LAW. The series airs sporadically through March 1989. A total of twelve episodes are produced and aired. The show's later episodes perform badly in the ratings, one ranking 70th out of 73 programmes. The series is shown in the UK on ITV as part of their overnight schedules. 1988 - A glut of syndicated animated series, and Marvel's lack of ownership of shows based on Hasbro characters (Transformers, G.I. Joe etc. ), as well as their inability to sell shows based on their own characters, hurts income for Marvel Productions. MAY 1989 - THE TRAIL OF THE INCREDIBLE HULK is the second of the New World-produced Hulk reunion movies. This time, it's Daredevil who's intended to receive a spin-off. AUGUST 1989 - Announced US premiere for the Australian filmed THE PUNISHER, based on the Marvel Comics character. New World's financial problems means its seen in overseas markets first and eventually goes straight-to-video in the United States in 1991. Marvel issue their movie adaptation in 1990. AUGUST 1989 - CBS airs the vampire-cop pilot NICK KNIGHT. It doesn't sell immediately but eventually spawns the series FOREVER KNIGHT, produced without New World's participation. 1989 - Ronald Perelman's Andrews Group purchases the publishing divisions of Marvel Entertainment Group from New World for $82.5 million. New World retain the Marvel Productions operation. 1990 - Andrews Group acquires New World Entertainment for $300 million. Perelman ends film production, leaving several completed pictures (including BRENDA STARR, FELIX THE CAT and WARLOCK) in temporary limbo. FEBRUARY 1990 - THE DEATH OF THE INCREDIBLE HULK is the third (and final) tele-flick. Despite the title, more movies are planned but the project is abandoned when star (and sometimes director) Bill Bixby is diagnosed with cancer. MARCH 1990 - The sitcom BAGDAD CAFE, based on the 1988 feature film, staring Whoopie Goldberg, premieres on CBS. The show returned for a second season that September but production ended suddenly in November when Goldberg walked off the show. 1990 - New World announces Brigitte Neilsen will play the SHE-HULK in a movie. The actress is even photographed in (a fairly crude) costume and these images are used in adverts in the trade magazine Variety. The film is never made. 1991 - New World shoot a pilot for a live-action POWER PACK series, based on the Marvel comic. Initially intended for NBC's Saturday morning schedule, NW unsuccessfully attempt to launch it as a syndicated series when the network passes. 1993 - Perelman begins to acquire a number of local television stations which he assembles under the NEW WORLD COMMUNICATIONS banner. MAY 1994 - New World agrees to switch affiliation of much of its station group to FOX. As part of the deal, FOX invests $500 million into New World in exchange for a 20% stake. JUNE 1994 - New World Communications hire ex-NBC head Brandon Tartikoff to head its revitalised production division. FEBRUARY 1996 - FOX airs the New World-produced GENERATION X TV Movie, based on the Marvel Comics mutants. Critics and fans are largely unimpressed but ratings are healthy and a stream of post-broadcast news stories suggest plans for either another movie, a FOX TV series or a retooled syndicated series. Presumably these plans are ultimately scuppered when New World ceases to be a producer. APRIL 1996 - New World teams with veteran producer Stephen J. Cannell Productions for the critically acclaimed (but swiftly cancelled) PROFIT. It would be amongst the last original series made by either production company. JANUARY 1997 - News Corporation purchases the remainder of New World Communications. NW's station group is placed under control of Fox Television Stations and all original production ceases. The history of New World Pictures after Roger Corman sold the company in 1983 to the investment group consisting of Lawrence Kuppin, Harry Sloan and Larry Thompson is particularly interesting. They were able to maintain the certain level of B-movies but with slightly larger budgets. Eventually they brought in Robert Rehme as CEO of the company, who had just left from his position as president of Universal Pictures Motion Picture Group and before that, was president/CEO of Avco Embassy Pictures and formally had been in charge of sales at New World from 1975-1979. Since Mr. Rehme knew all about B-movies and how to market and distribute them, he applied the same strategy at New World that he had used at Avco Embassy. I think the problem at New World however is that they over-expanded far too quickly. They became a public company in 1985 and eventually became New World Entertainment to reflect their diversification: New World Pictures, New World Television, New World International, New World Video (which was very successful) and also acquiring Marvel Comics and Learning Corp. of America. At the same time, while some of their movies did well at the box office:"Children of the Corn", "House", "Hellraiser" and "Hellraiser II", "Creepshow 2", "Soul Man", "Black Moon Rising" and "Flowers in the Attic", of the hundreds of movies they distributed, too many of them were failures. Although many of them including "Return to Horror High", "Wanted Dead or Alive", "Dead End Drive-In" and "Beyond Therapy" have since developed cult followings. New World probably would have survived had they not become such a huge mini-major conglomerate studio. In retrospect, he New World Video division did very well and helped revolutionize the industry in the 1980's. The other problem New World had from day one is that Roger Corman retained the pre-1984 film library, so it was difficult for the 'new' New World to operate from a sustainability standpoint. New World was fortunate at the time to not have been one of the indie studios of the 1980's to be financed by Credit Lyonnais. In 1989, the now disgraced Italian financier Giancarlo Parretti tried to buy New World, after CL financed him to take control of Menahem Golan's and Yoram Globus' crumbling Cannon Films. New World instead accepted the offer by Ronald Perelman, probably a smart move, as Parretti's reign of terror over Hollywood eventually culminated him in merging Cannon/Pathe Communications into MGM studios which eventually led to the Credit Lyonnais banking scandal and eventually Parretti himself fled the United States to escape charges of embezzlement and fraud. They were interesting days though. Harry Sloan of course went on to run Lions Gate Entertainment and eventually ran MGM studios; and Robert Rehme became a major Hollywood producer and president of the Academy Awards. I wish New World Pictures had continued to grow and prosper much like how New Line Cinema was able to do.